The Holaras Turbo sweeper is a reliably built, heavy and stable sweeper for extensive professional use. 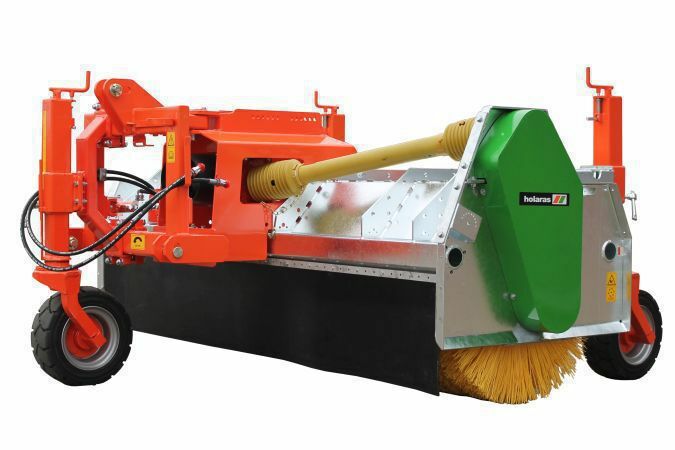 The sweepers are specially developed for use on heavy tractors, excavators and telescopic handlers, where a large capacity and difficult sweeping are of importance. All Turbo sweepers come with heavy, wear-resistant brush rings with a diameter of Ø 80 cm. Galvanized frame, hydr. adjustable, working width 250 or 270 cm.